NS1 is an intelligent DNS and traffic management platform with a unique Filter Chain™ routing engine. NS1’s technology leverages infrastructure, application and network data to make intelligent routing decisions in real time, ensuring optimal application performance and reliability. 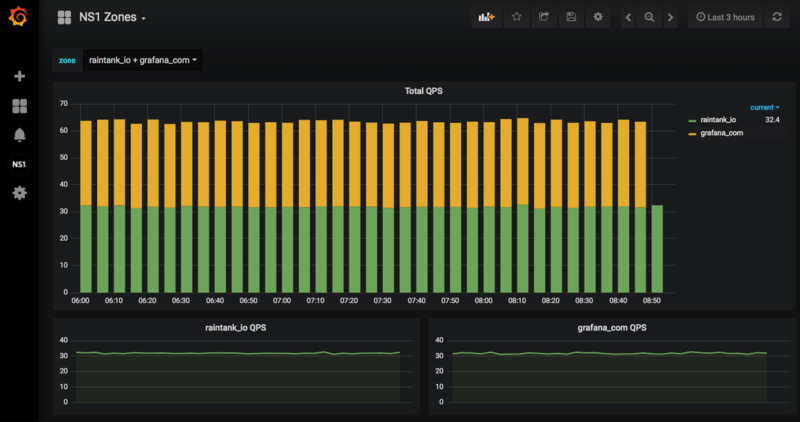 The NS1 Grafana App gives you a real-time view into DNS traffic and monitoring jobs configured within the NS1 platform. 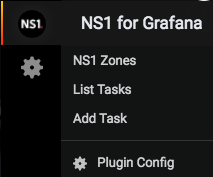 The NS1 app requires a Grafana.com account, Grafana 3.0 (or higher) and an NS1 account. There are no other external dependencies, accounts or configurations needed. Give your team a quick view into DNS traffic and infrastructure health. This app provides instant visibility into query-per-second (QPS) traffic and NS1’s built-in high frequency monitoring service. We would love to hear what you think of this app and if you have any feature requests for future versions. Pleaes submit any issues with the app on Github or contact us directly. To use this application there are X steps that need to be taken. 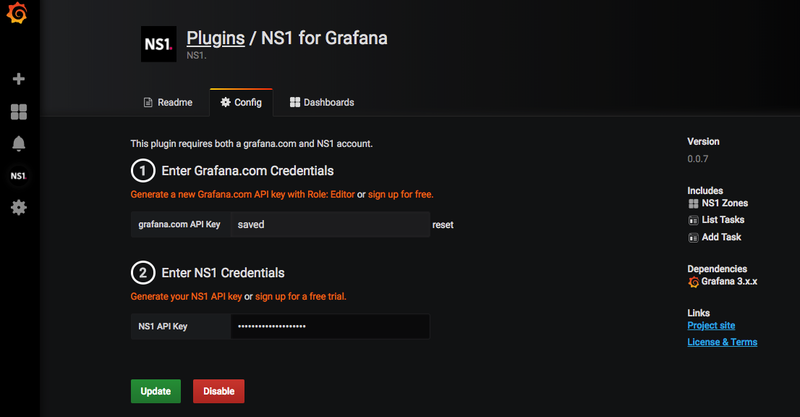 Create an API Key on your Grafana.com account with the role Editor. Once the application is installed, select the NS1 icon to configure the datasources. Create an API Key with the role Editor using your grafana.com account, and paste into first field. Create an API Key on your NS1 account and paste into the second field. Click update and the datasources will be updated and verified they are working. Select "Add Task" from the sidebar menu. Select a zone from the popdown and click "Add". NOTE: It may take a second to load your zones. If you do not see any zones listed in the popdown, check your API Keys. You can add additional zones by selecting the "+ Add Task" button, or proceed to the QPS Dashboard. Once your tasks are created, data will be collected and viewable from the imported dashboard. Use the "List Task" menu option to stop/start or remove tasks.